As you consider the implementation of mobile learning into your organization, you need to ask the same questions about the impact to your audience. From our very first days as a company, Float has pointed out the advantages of mobile learning and how it is available anytime and anywhere. It’s a benefit to the learner because they can take their training when they want and at their own pace. But you also need to test the implications of that freedom. Just like anything else in life, with great freedom comes great responsibility. What types of responsibilities do you have towards your audience and your organization as you deliver mLearning? First, you need to know your audience. I have covered the importance of this topic in a previous post. What type of appetite do they have for mobile learning? Is it something they are asking for or is the company making it a priority? It’s very important to gauge your target audience and determine how your mobile learning will integrate into their everyday life. You can’t just develop your mLearning, make it available and hope it is gleefully accepted. There may be factors that have a direct affect on your audience and you need to take those into account as you build a strategy. In the linked article, Volkswagen had another stakeholder in the mix: their workers were unionized. You don’t want to find out after you build your mobile learning is developed that it may not meet the union. Once again, knowing your audience and building a proper strategy will allow you greater potential to have high success. It is also very important that you have a mobile learning policy in place before implementation. You should write your policy during the strategy phase of your mLearning development. The Float team has provided great information about policies in our “6 ‘P”s of a Successful Mobile Technology Strategy” series. Part 3 is specifically about policies. As that post points out, “At the root of your organization’s mobile policy is a decision on what information can and will be on mobile devices and how securely that information needs to be protected.” There is a good chance you have written other technology policies in the past, for computer use, for instance, and mobile learning and mobile devices are no different. Make sure your audience is fully educated about the usage of mobile devices and the mobile learning that is delivered to them. If you anticipate some measure of resistance or uncertainty about mobile learning from your workforce, a clear and sound policy will make your expectations clear and any requirements or restrictions understood. The purpose of this post is not to sound alarmist. Mobile learning is being welcomed by many companies, and by all stakeholders: executive management, learning & development, employees, IT and even legal. In fact, it is even more probable you will get pressure from your audience to provide mobile content delivery and find a bigger challenge in getting it delivered quick enough. Are you dealing with this issue in your organization? 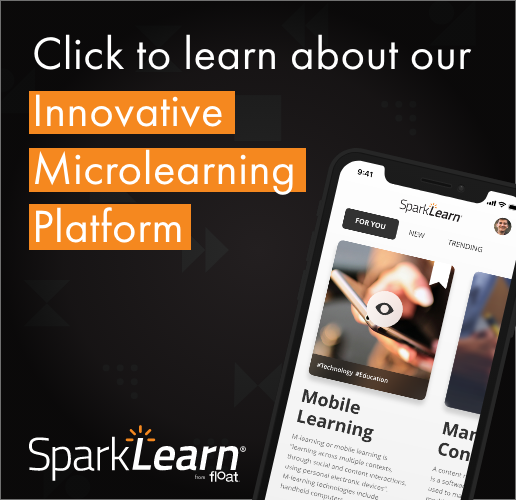 Have you developed any mobile learning or mobile device policies for your enterprise or constructed a strategy that includes meeting these types of challenges? Share your experiences in the comment section below. Update on the YouVersion Bible App. My last post was about the widely used YouVersion Bible app that is developed by LifeChurch.tv. They recently released an infographic that shows the metrics of what happens during any minute of usage. These impressive numbers show what can happen if you have good content, design an intuitive app and know your audience well. LifeChurch always keeps the app fresh with new features, content and additional translations so the audience is consistently engaged. » Mobile Strategy » Where’s the Punch Clock?